Hard water can be a real pain in the glass…and shower, laundry machine, and personal grooming. Today we are going to look at what causes this grimy little nuisance. Hard water is water that has a significant amount of dissolved minerals, mainly calcium, magnesium, and sometimes iron. As you may know, the composition of water is two hydrogen atoms and one oxygen atom. When these atoms bond with carbon dioxide they form a very weak carbonic acid. Groundwater then flows over or through limestone dissolving very small amounts of minerals as it passes. These alkaline minerals then become held within the water, increasing the pH of the solution, creating hard water. Issues with hard water are problematic for many homes throughout America. Hard water is kind of like annoying in-laws, you can always tell when they’re around. Except instead of constant nagging, hard water usually makes itself known in other ways. For example, pipes will likely become clogged due to the excessive scaling, or a coating of hard mineral and corrosive deposits, that collect in pipes. During your showers, you might find that your bar of soap that does not lather well but instead spreads soap scum all over the doors and walls. After washing your clothes, the hard water and soap scum might lead to faded and stiff clothes. The high mineral content may cause rust stains on your porcelain sinks, tubs, and toilets. When you reach into the cabinet to pull out a glass you may be greeted with the sparkling film of soap scum and mineral deposits. This indicates that most likely, that glass was washed in hard water. As you take that glass to get a drink, the water may have a metallic taste caused by high iron content or smells like rotten eggs from bacteria reacting with magnesium to form sulfates. Yum! Lastly, if you didn’t pick up on any of those things you may find yourself regularly dropping hundreds of dollars on new appliances and utility bills as the clogged valves and sediment buildups make your appliances less efficient or stop working all together. You may be asking yourself, “is hard water safe to drink?” Although it can be annoying, hard water itself has not been proven to be associated with any direct health risk. In fact, calcium deposits, magnesium, and iron found in water that is harder can contribute a small amount towards the mineral dietary needs of the consumer. Despite this one possible benefit, hard water does have some potentially irritating and minor health side effects. To begin, if you have high levels of iron, manganese, or hardness in your water you should check the inorganic arsenic levels to ensure you are not ingesting arsenic. In addition, the scaling caused by hard water in pipes can foster the perfect environment for active pathogenic bacterial growth. The elderly, or those with weak immune systems, are particularly susceptible to these harmful bacteria. In less severe instances, hard water can cause annoying effects on one’s hygiene. For example, hard water can cause dull hair, a film of sticky soap on skin, itchy skin, and irritated skin. A study found that young children are at an increased risk of developing eczema on their skin if consistently exposed to hard water. If you suspect that you have hard water or water with a significant amount of dissolved minerals in it, don’t worry, the process for identifying and resolving this issue is very simple. Either you or a hired professional should use a photometer or other water testing device to measure the levels of hard water, magnesium, calcium, pH, iron, and alkalinity. 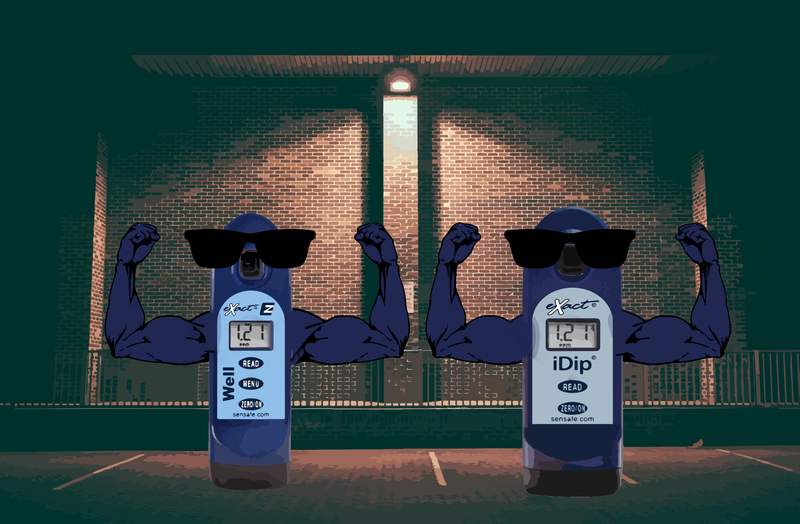 We recommend utilizing our Well eXact® EZ Photometer or eXact iDip® Photometer to easily and accurately analyze those test parameters. After the results are analyzed, the best method for hard water treatment is to hire a water treatment professional to install a water softener directly to your water supply system. These machines are designed to remove the dissolved minerals that comprise hard water allowing you the peace of mind to enjoy soft water, smoother skin, and sparkling stain-free dishes and appliances.